Over one hundred businesses and municipalities have entered into settlement agreements to resolve their liabilities at the site. In 1992, a consent decree was entered into between USEPA and the KLA Group giving the Group primary responsibility for implementing remedial activities. These activities are set forth in the site's record of decision ("ROD"), which was initially issued by USEPA in 1992. 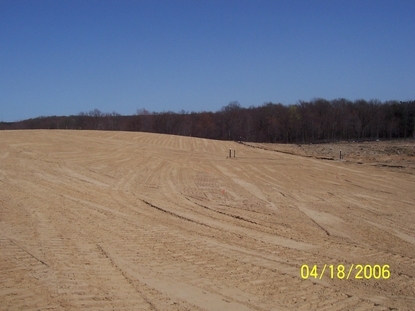 Following additional landfill studies, the ROD was subsequently amended in 2003 and 2005, resulting in concurrent amendments to the site's consent decree. The USEPA is the lead government agency for the site. The MDEQ is the support agency. 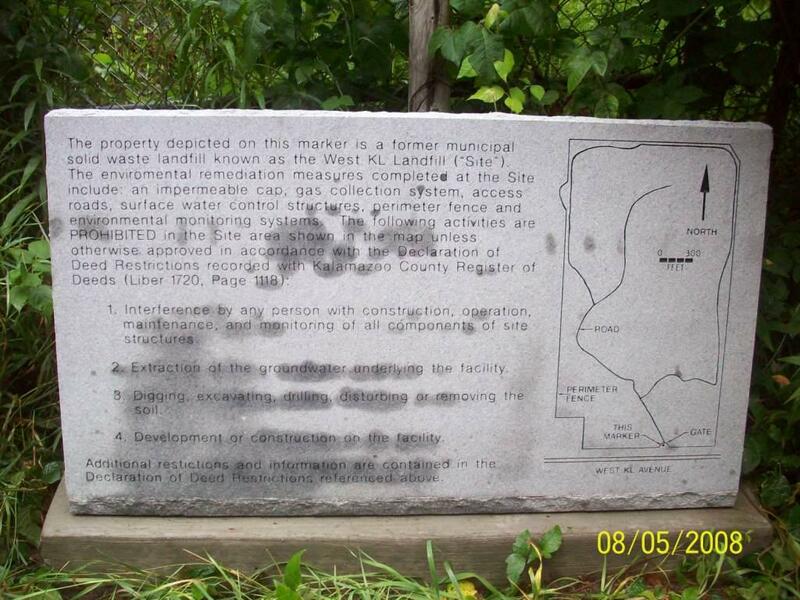 Since entering into the site consent decree in 1992, the KLA Group has worked cooperatively to conduct site investigation and characterization activities, complete fate and transport studies, and implement the site-wide remedy selected by the USEPA in the ROD. 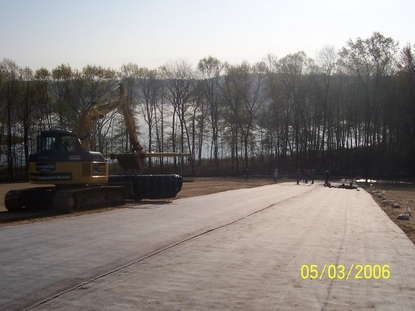 USEPA has established a public repository for site-related documents including construction and groundwater monitoring reports. The public repository is located at the Oshtemo Branch of the Kalamazoo County Library system located on West Main Street. The street address for the library and public repository can be found on the Contact Page. Additional site-related information can also be found at the USEPA Superfund website. 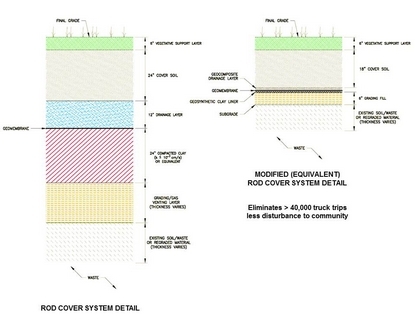 The remedy selected for the site, as outlined in the site's ROD, is intended to protect human health and the environment in the short and long term. Landfill: Limit access through installation of a fence, contain landfill constituents of concern (COCs) through installation of an impermeable cap, and remove landfill gases through operation of an active gas collection system that extracts landfill gases and COCs and thermally destroys them in an enclosed flare. Groundwater: Monitor groundwater and restrict potable groundwater use in impacted areas; provide alternative sources of potable water in those areas; and monitor the natural attenuation of site COCs. 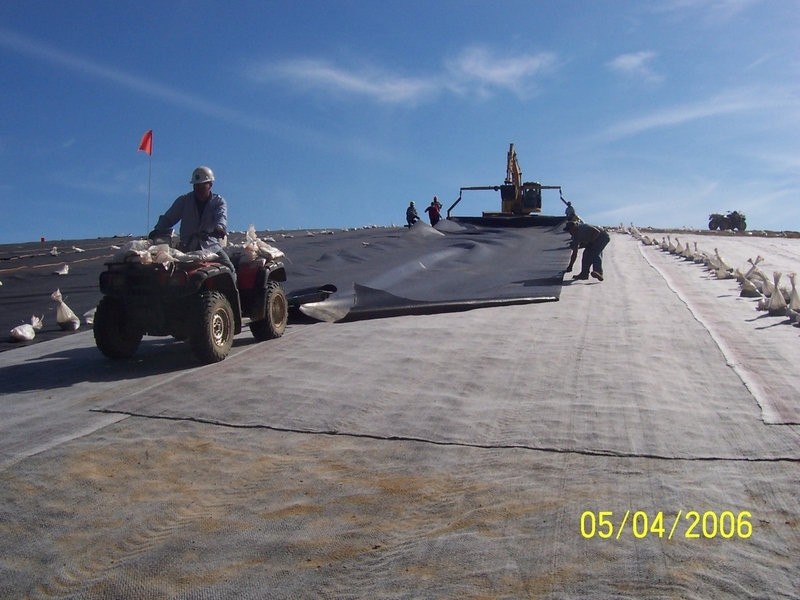 In 2005 and 2006, the KLA Group added an impermeable cap to the landfill consisting of a state-of-the-art, multilayer system at a cost of $10 million. The cap is designed to keep the waste that is in the landfill from leaving or "leaching" out of the landfill. 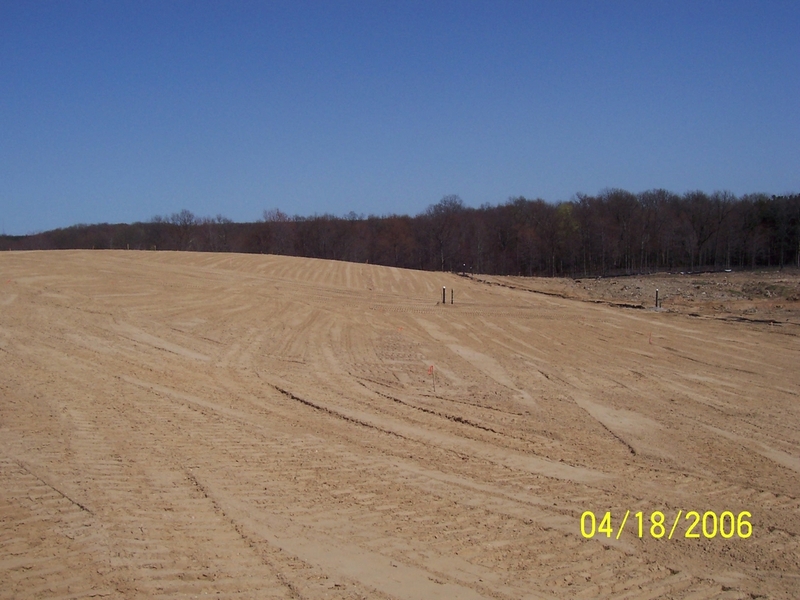 The landfill is fenced and the KLA Group inspects and maintains the cap on a regular basis. Legal restrictions have been placed in the deed records for the landfill, establishing legal mechanisms to provide that the landfill will be properly maintained in the future and that access and use will be restricted. 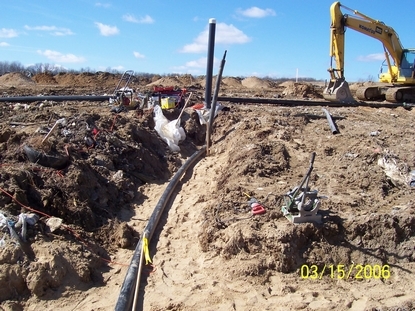 An enhanced landfill gas extraction system was installed in 2007. The purpose of the extraction system is to safely manage gases generated in the landfill, including methane, helping to reduce the overall impacts from the landfill. 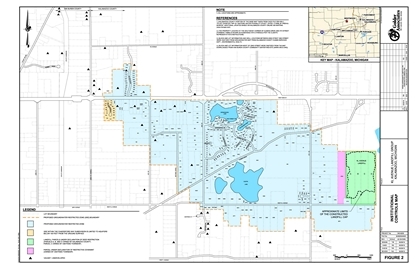 The KLA Group has financed the installation of miles of water main resulting in the connection of over 300 residences to the City of Kalamazoo municipal water supply. More than 100 groundwater monitoring wells have been put in place to monitor the movement and distribution of landfill COCs. These wells are sampled and analyzed on a continuing basis. In addition, select residential wells are also monitored on a regular basis in accordance with a plan approved by USEPA. 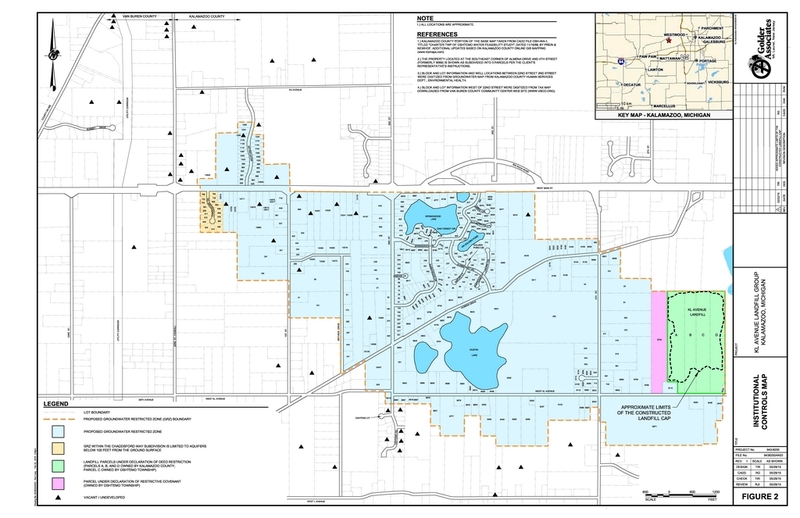 The KLA Group has established a "Groundwater Restricted Zone" or "GRZ" pursuant to Kalamazoo County's Sanitary Code. The GRZ is a legal mechanism that restricts the use of groundwater wells in the impacted area and a 1000 foot downgradient buffer zone. The USEPA has endorsed the GRZ boundary. After holding public hearings, the Kalamazoo County Board of Commissioners approved the GRZ on December 1, 2015. The GRZ became effective on March 9, 2016. As the COCs mix and move with the groundwater, they age, dilute, breakdown and degrade. For example, 1,2-dichloroethane and acetone were once COCs at the site, but have since naturally degraded to the point that they are no longer an issue. An important part of the site remedy is to monitor this natural process. The most recent performance evaluation of MNA was conducted in December 2015. The consent decree and ROD prohibit the use of water for drinking water purposes if that water is impacted above Michigan drinking water limits or is within a 1,000 foot downgradient "buffer zone." 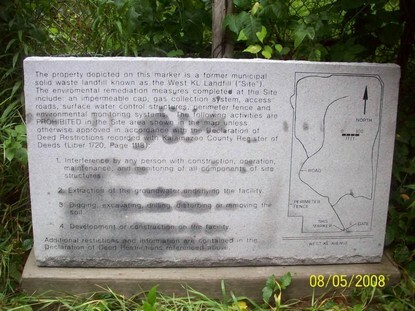 In 2003, Kalamazoo County adopted an amendment to the Kalamazoo County Sanitary Code that includes a process to legally prohibit wells within a designated restricted zone. The KLA Group has been working with the USEPA and MDEQ to formally establish such a "groundwater restricted zone" (GRZ) in accordance with the County Sanitary Code. The GRZ was approved by the Kalamazoo County Board of Commissioners on December 1, 2015, and became effective on March 9th, 2016. 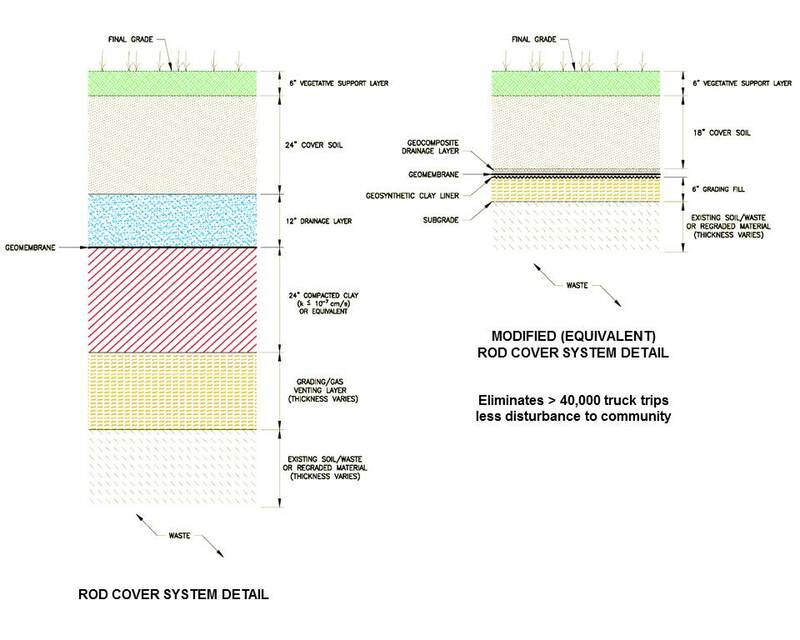 Residences within the proposed GRZ are required to hook up to municipal water and have their private drinking water supply wells abandoned and/or disconnected from their domestic supply. Well waivers maybe be granted by the County and MDEQ to retain private wells for irrigation or non-potable purposes (e.g. heat pumps), provided applications for such waivers meet the criteria specified in the County Sanitary Code.